Compared with the flamboyant aromatics of the 1997, Yquem's 1996 plays it closer to the vest, although there is a lot going on. Compared with the flamboyant aromatics of the 1997, Yquem's 1996 plays it closer to the vest, although there is a lot going on. Light gold with a tight but promising nose of roasted hazelnuts intermixed with creme brulee, vanilla beans, honey, orange marmalade, and peaches, this medium to full-bodied offering reveals loads of power in its restrained, measured personality. 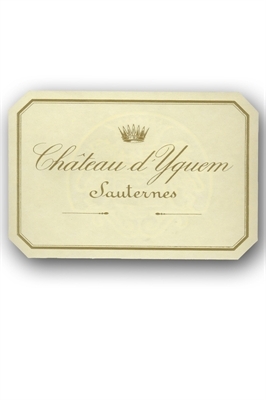 There is admirable acidity, weight, texture, and purity in this impeccably made Yquem. However, patience will be a virtue.